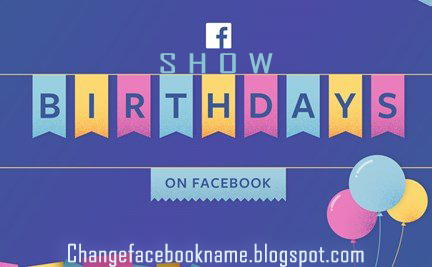 How to Reveal Birthday to Public on Facebook: During the process of creating an account on Facebook, it is required to fill in all your personal biodata into your Facebook profile, your birthday date is also part of the data required to be filled. Even after doing this, you noticed that some of your colleagues didn’t greet you on your special day or they complained of not seeing your birthday date on Facebook, don’t worry that much, it is because your birthday date is hidden from the general public and your friends. Tap the "Profile" link at the top of your Facebook screen to go to your personal profile. Click "Edit Profile" icon in the top right corner of your profile. Go to the "Basic Information" link and scroll down to the "Birthday" section. Go down to the bottom of the page and click the blue "Save Changes" button. That’s all, said it was simply. 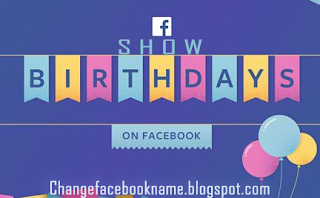 Now kindly share this with your friends so they can also learn how it is done and you can get notifications of their birthday.